Leo Bouwer, the Afro-Cuban classical guitarist who is also a conductor and a prolific composer, is profiled at AfriClassical.com. He was born in Havana, Cuba March 1, 1939 and has enjoyed a flourishing career since completing his studies in Music in the U.S. at the Julliard School and the Hartt College of Music, where his major subject of study was composition. His enormous influence on guitar music in particular and classical music in general is demonstrated by more than a hundred recordings on which he has played, composed or conducted. Brouwer's compositions reflect classical, Afro-Cuban, jazz and avant-garde influences. His many film scores, including Like Water for Chocolate, have brought his music to the attention of a huge audience around the world. Brouwer's version of the Beatles tune Penny Lane opened the “Cubadisco Guitar Fiesta” in Havana on March 21, 2009. Leo Brouwer conducted the Moscow Chamber Orchestra Musica Viva in Kaluga, Russia, at the XII “World of Guitar Festival,” May 25-29, 2009. On June 1, 2009 AfriClassical excerpted a very favorable review of Fuga Libera, a 2007 CD which includes Concerto Elegiaco, in a performance by Denis Sung-Hô (guitar). AfriClassical reported on July 1, 2009 that Leo Brouwer had received Cuba's “National Film Award” for 2009. On July 31, 2009 we quoted the Star-Telegram as saying Variations on a Theme of Django Reinhardt by Leo Brouwer has a “wistful melody.” On Aug. 23, 2009 Demonoid.com was quoted as saying “Brouwer's Estudios 'in a direct line to the Études for guitar' of Sor & Villa Lobos.” A daily blog on the music of Leo Brouwer alone would have no shortage of news to report! Imani Winds Chamber Music Institute is an intensive 8-day program devoted to excellence in wind chamber music performance, located right in the heart of New York City! 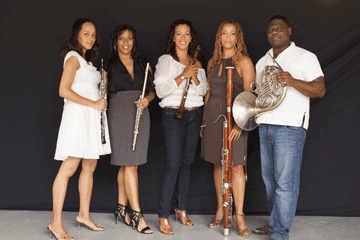 Musicians participate daily in masterclasses and seminars with Imani Winds, a Grammy-nominated wind quintet known for their legacy of innovative repertoire, outstanding recitals and outreach programs. Performers will rehearse and perform in ensembles that receive daily coachings, and will perform for notable guest artists. Career-building seminars with top management/PR professionals, auditions training, alexander technique/yoga for musicians, and hands-on educational outreach training are also a focus of the institute. Participants will perform in a culmination recital at the Chamber Music Society of Lincoln Center’s Rose Studio. For woodwind, French horn players, and chamber groups ages 16 and over. The institute is for young professionals, college students, advanced adult hobbyists and high school students. Auditors are welcome. The institute provides optional room & board at Juilliard's Meredith Willson Residence Hall at Lincoln Center, in the Samuel B. and David Rose Building. “The BSO offers a Symphonic Tribute to several musical giants, from JS Bach to John Lennon, with this remarkable program. The late American composer Lukas Foss began composing his Night Music the morning after John Lennon was killed. Saint-Saen's brilliant 2nd Piano Concerto features an opening movement that is a loving tribute to the keyboard music of JS Bach. The concert concludes with Beethoven's magnificent Seventh Symphony, described by Wagner as 'the apotheosis of the dance.'" “On September 30, 1989 the members of the Marian Anderson String Quartet, then known as the Chaminade Quartet, came together; unaware that they would soon change history. 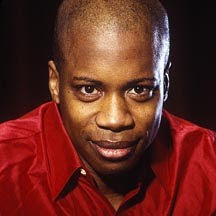 In 1991, the Quartet won the International Cleveland Quartet Competition, becoming the first African American ensemble in history to win a classical music competition. To highlight this singular achievement the members of the quartet asked permission of the great contralto, Marian Anderson, to use her name as their own. Miss Anderson responded with heartfelt approval and, in a memorable show of gratitude, the Marian Anderson String Quartet played for its legendary namesake and her nephew, conductor James DePriest. 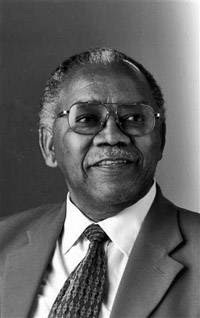 J. S. Mzilikazi Khumalo is a South African Composer and Choral Director who was born June 20, 1932. He is profiled at AfriClassical.com. “One of the South Africa’s accomplished music luminaries Professor Mzilikazi Khumalo will be honoured at a function at Regina Mundi Catholic Church in Soweto at 2pm tomorrow. Khumalo will be lauded for his immense contribution to choral music. He has not only made choral music his life but ensured that all the brilliant – living and dead – composers get recognition. 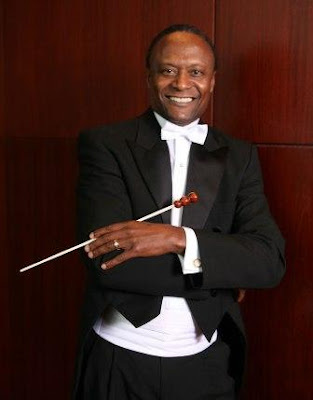 “This weekend Mzilikazi will officially retire from two of three choirs he had conducted for years. 'I am stepping down from the two choirs because I am no longer a spring chicken. At 77, I am old and tired and can’t keep up with the work required to deliver a successful A-plus choir. I am talking about big choirs that practise at night, in Soweto. We invite you to listen to one full hour of amazing masterworks by some of the most prominent African-American composers in recordings and performances by the Black Pearl Chamber Orchestra. Jeremy Kesselman, oboist and the BPCO's own Principal Trumpet, Rodney Mack join Maestra Johnson and the BPCO in a wide variety of works that showcase the diverse styles and influences that have inspired these amazing composers, performers and teachers. As a special feature, Rodney Mack will also be heard in performance with his own group, the Rodney Mack Philadelphia Big Brass. For people outside the broadcast area of WRTI FM 90.1, Jeri Lynne Johnson tells us, “WRTI is listed as a radio station on iTunes just like any other radio station and you can listen live that way...” She also notes that other online music players may be used. Much of the basic harmonic material is based on the letters in her name (ie. wEnDy riCHmAn). As part of the scenario of the work’s ongoing development, slower moving material is often interrupted by sharply accented chords or single notes which in and of themselves, establish an independent layer of activity unto itself. In addition, more rapidly moving passages reveal themselves periodically and eventually transform into tremolos at which point aspects of the more ethereal material from the opening reassert themselves. A story in today's Dallas News highlights the role of pianist Eldred Marshall in a Black History Month event set for Sunday, Feb. 28, 2010. 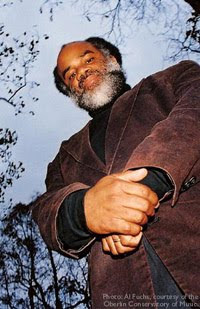 In October and November of 2009 AfriClassical explored Eldred Marshall's career in music, including his two CDs. 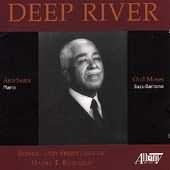 On October 25, 2009 AfriClassical posted: “AfriClassical Interviews African American Pianist Eldred Marshall.” A short time later, on Nov. 4, 2009, Eldred was again featured in: “'The Brahms Recital' CD of African American Pianist Eldred Marshall Available From Website.” After six years as a staff member for several elected officials, he had recently returned to school. Eldred is currently a graduate student working on a Master's degree in Piano Performance at Southern Methodist University in Dallas, Texas. 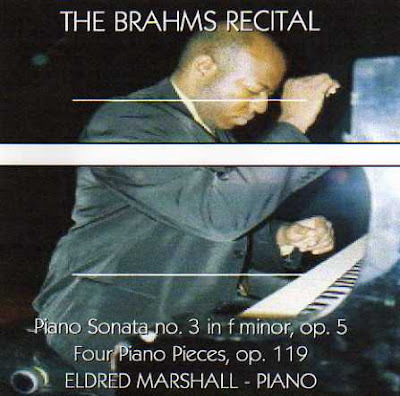 The pianist explained that in 2008 he made two CDs which are available at his website, http://www.eldredmarshall.net/ The first to be recorded was “Eldred Marshall: Live and Uncut,” consisting of works composed by Liszt, Haydn, Bach, Schumann and himself. The second CD was “The Brahms Recital.” Its program is the “Piano Sonata No. 9 in F Minor, Op. 5” (1853) and “Four Piano Pieces, Op. 119” (1893). The CD was recorded at Wahlberg Studios in San Francisco in July 2008. 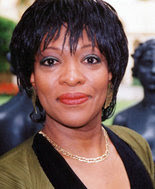 The critically acclaimed artist has performed internationally: Spain, Italy and the Republic of San Marino. 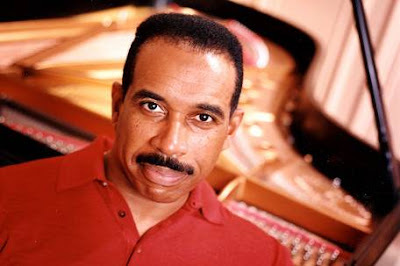 A landmark in his career was to become the first African-American/Black pianist to perform the entire cycle of 32 piano sonatas of Beethoven in public, from memory, as a concentrated series. In the fall and winter of 2007, he performed the feat in Portland, Oregon. 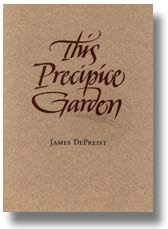 In the winter and spring of 2008, he repeated the series in San Francisco. "The Choir of the College of William and Mary under the direction of James Armstrong will give its a concert on Sunday, February 28 at 8 PM in the Catholic Campus Ministry Chapel (10 Harrison Avenue, Williamsburg). Admission is free and open to the public. 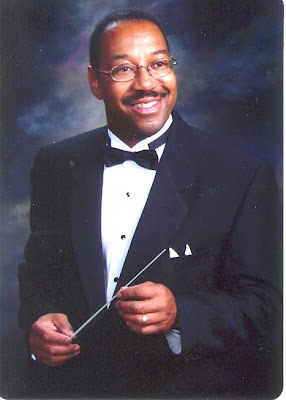 Maestro Thomas Wilkins will conduct the Omaha Symphony in its world premiere performance of Trail of Tears, a work for flute and chamber orchestra by the popular contemporary composer Michael Daugherty, on March 26, 2010 in Omaha, Nebraska. "Imagine a postmodern Aaron Copland or Charles Ives with a pop cultural twist, and you're primed for the music of Michael Daugherty. A composer of his time and birthright, Daugherty is a Cedar Rapids, Iowa, native and the musical embodiment of Americana. His canvas reflects a 20th century cultural mosaic dotted by the likes of Elvis and Superman and Jackie Onassis. At age 55, Daugherty is also the exuberant master of his craft, an artist whose sophistication and compelling appeal can seem utterly at odds with the often kitschy titles of his works." "Commissioned by the American Composers Orchestra, Ann Arbor Symphony Orchestra, Delaware Symphony Orchestra, and Omaha Symphony, Trail of Tears is divided into three movements totaling 22 minutes: I. where the wind blew free, II. incantation, and III. sun dance. Says Michael Daugherty: 'One of the tragedies of human history is the forced removal of peoples from their homeland for political, economic, racial, religious, or cultural reasons. My flute concerto is a musical journey into how the human spirit discovers ways to deal with upheaval, adversity and adapting to a new environment.'" “This site is a beautiful tribute and reference for African-Americans in the classical arts and those wanting to learn more about African-American classical arts history! 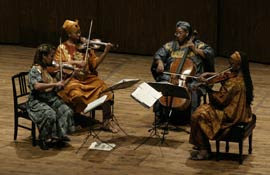 AfriClassical.com founded by William J. Zick was launched in 2000 as a nonprofit educational venture promoting awareness of African Heritage in Classical Music. 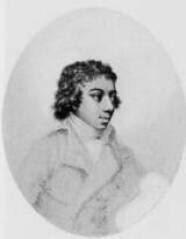 The first page was devoted to Le Chevalier de Saint-Georges and within a few months was joined by pages on several other composers and musicians of African descent. 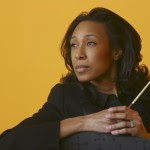 “Here you will meet 52 composers, conductors and instrumental performers – Africans, African Americans and Afro-Europeans. Many are alive today, but one lived 500 years ago! These artists are unknown to most of us, yet are so numerous this site can present only a fraction of them. They have made enduring contributions to Classical Music. Several have composed, conducted and performed Classical Music. 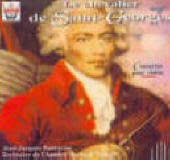 Le Chevalier de Saint-Georges (1745-1799) of Guadeloupe is one of those multi-talented musicians. 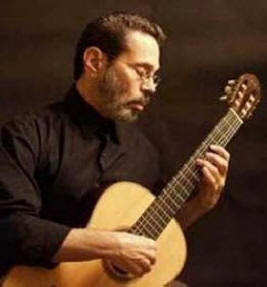 Cuban classical guitarist Leo Brouwer (b. 1939) is another. 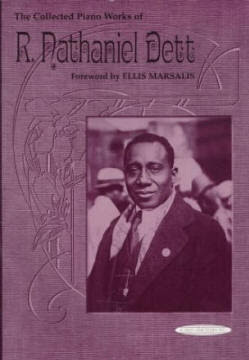 Over 100 sound samples can be heard at the Audio page and at the biographical pages. The links at left lead to a Black History Quiz covering everyone profiled at the site and a Guest Book in which you are invited to leave your comments." “The South Shore Opera Company of Chicago will hold its second Black History Month concert free of charge at the South Shore Cultural Center, 7059 S. South Shore Drive, on Feb. 27 at 5:30 p.m. This year’s 'Annual Salute to Black History' will feature four local performers and focus on music by African-American composers.” “This year’s show...will focus mainly on music by African-American composers and renditions of classic African-American spirituals, Lynn said. He said the focus on spirituals is enhanced through the participation of baritone singer Robert Sims. “KINSHASA (AFP) — In Kinshasa, home of the swaying Congolese rumba, 200 people at a local church have succeeded in creating a concert hall orchestra to bring Handel, Beethoven and Mozart to the heart of Africa. They are a motley mix of dressmakers and shopkeepers, pupils and students, hairdressers and civil servants, all part of an orchestra which tackles great works from Western classical tradition. In their black suits and satin gowns, they have been playing to increasing acclaim since they were formed 16 years ago. 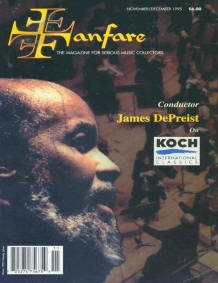 "'In Africa and even in the world, you'll never see an orchestra like ours, consisting entirely of blacks,' proclaimed Armand Diangienda, musical director of the Kimbanguist Symphony Orchestra (OSK) which he helped found in 1994. 'It's an orchestra of amateurs,' he added, 'but it's not just any orchestra that can play Beethoven and Mozart.' Diangienda, 46, is a grandson of Simon Kimbangu, founder of the Kimbanguist church, which claims about 10 million followers in the Democratic Republic of Congo's population of 60 million.